Subscribe to Underground Blend and Stay Tuned! Artist Jeffrey Gillette has custom made dollar bill artwork for the release of his toy, each piece is signed. 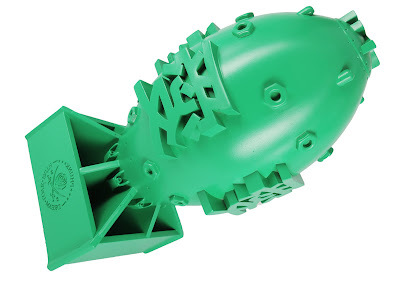 There are two different versions made, at 50pcs each for a total of 100pcs. 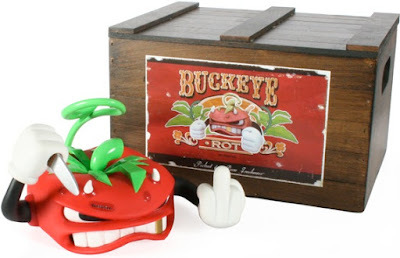 Each comes in its own wooden crate with two sets of interchangeable hands and 2 knifes. Articulated tail , arms and wrists. 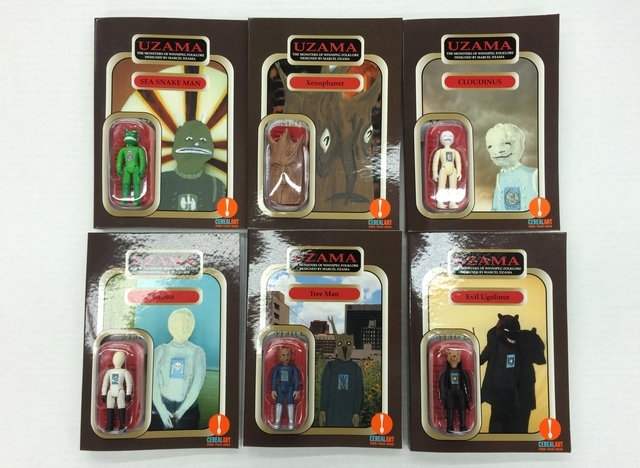 Set of 6 carded figures. From left to right: Tree Man, Cloudinus, Evil Ugolinor, Xenphonaner, Uzama & Sea Snake Man. Size: 3" tall. Edition size was 2500 sets and we got a little under 200 sets. These sets for over $400 online. These came out in 2004 and predate even The Sucklord's first resin editions! The First 'Bootleg' figures ever sold as art. A statement on the prevalence of CCTV cameras in the modern world and the ridiculous nature of robbing the people of privacy while doing nothing to address the root cause of crime itself, poverty. 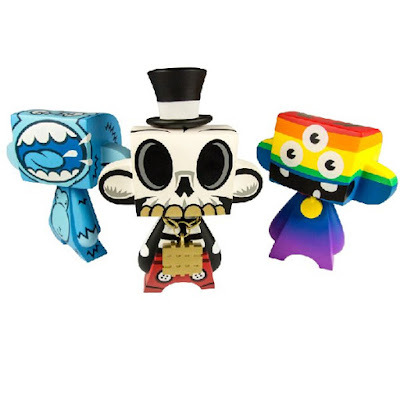 Celebrating the anniversary of the original figure from 2007, artist Erick Scarecrow has released the new 6.5" vinyl Little Liberty collection. A popular collectible, Liberty, she is a symbol of artistic freedom and a reminder to any artist to embrace the power of artistic expression. Little Liberty is packaged in an open box and blister tray. For Ages 15 & Up. The Phase:4 set consists of MODERN HERO, MAD APE, and MAEMAEMON. The figures are approx 5" tall and comes in a spot UV printed box with custom stickers that match the design inside." Nothing exists in a vacuum. All creativity builds upon the past. And nothing is outside of the realm of human interpretation. Art and Culture is an ongoing conversation humanity has with itself. Freedom of Expression means companies don't get to pick and choose who they inspire, who makes art, and how they make it. That would be censorship. BONUS: Everyone gets a free Cease and Desist Sticker in R2-Blue! 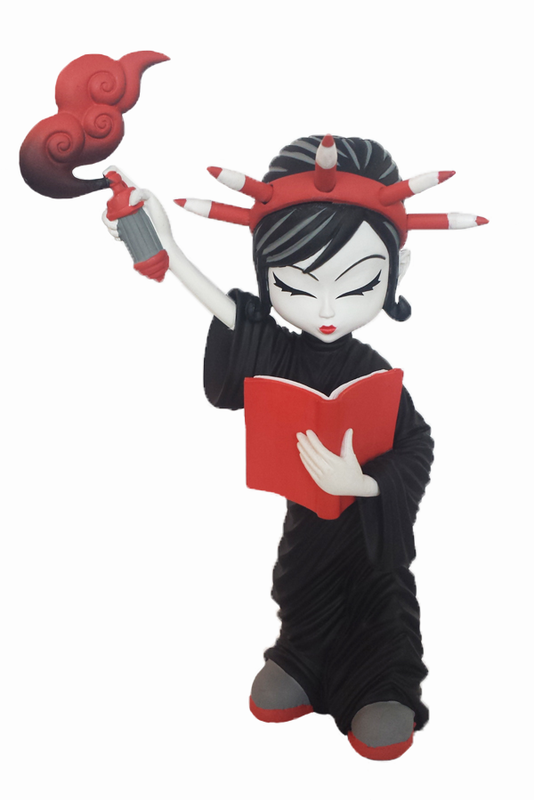 Discordia Culture Shop has this wicked cute sassy HOT DATE figure on Sale. 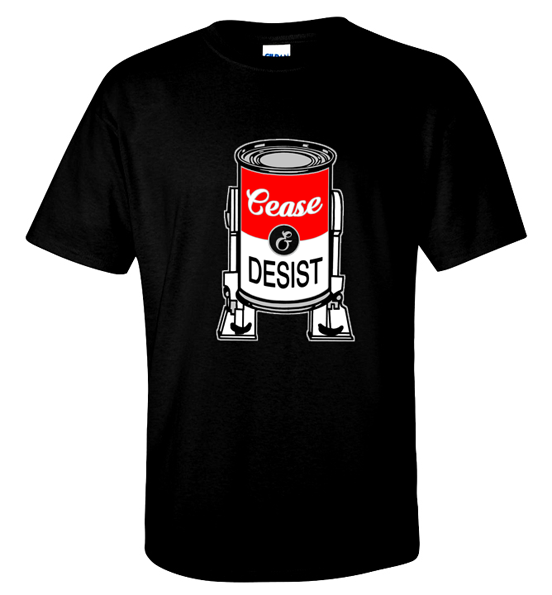 And Wholesale to Retailers is available too. 8 Inches of red hot vinyl sexiness. Act now and damnation can be yours today! 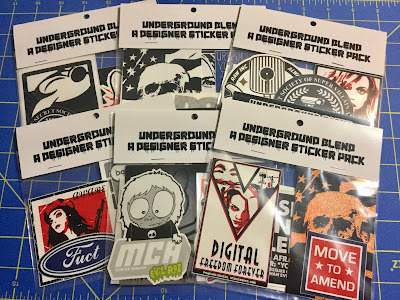 An ongoing collection of Vinyl Stickers from the Designer Sticker Artist global community. LIMITED EDITION of 25 - Numbered Packs. Acquire the Second 6 Volumes of Underground Blend at a special price! Pink Nightmare Squad - Psychological Industries - Join the Underground - Apology Girl - SSOSVA - DesignerStickers.net - MOVE TO AMEND - Jupey - Urban Medium - BEAS - Urban Vinyl Daily - Ban Comics Sans - Raw Inc - MCA - Eyeformation - DrChiPohPoh - ILOVETU - Jice - EmDub - Concreeps - RXSKULLS - Sladge - And Many More! Get your collection off to a good start with this selection of Issues 35-41. These are nearly all of the 8.5x 5.5 size issues. Since the magazine changed sizes a few years back. Artists Include: Kyle Kiriwin - Andrew Bell - The Loyal Subjects - Camillia dErrico - Joe Ledbetter - Tara McPherson - Sqink - Scarecrowoven - Miss Monster - Big C - Otto Bjornik - Peter Kato - Haus of Boz - RXSeven - Scott Tolleson - Jelly Empire - Deeten - Amanda Visell - Frank Montano - Oddfauna, and countless more! 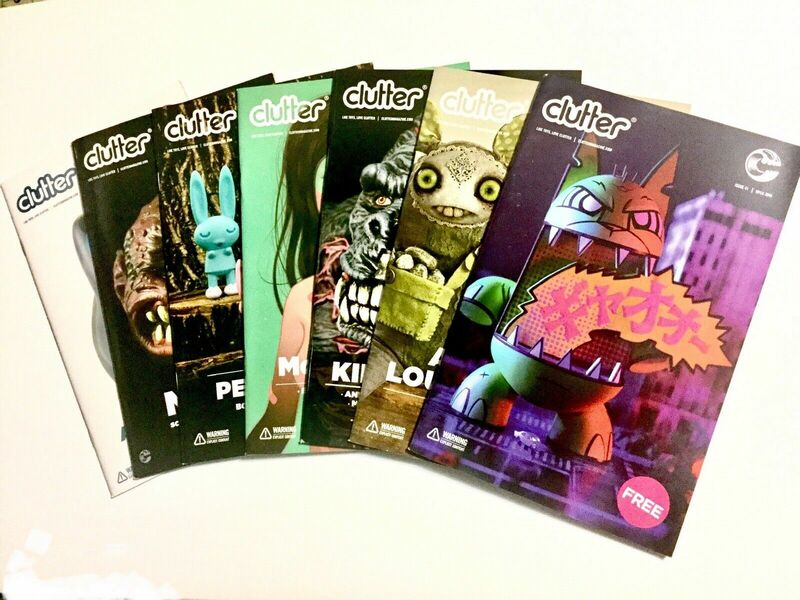 BONUS: Also available is Issue 42 which must be purchased separately. 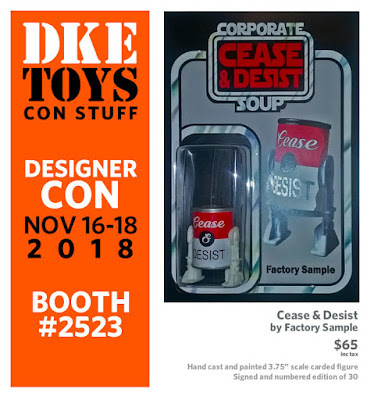 Supplies are Limited! This first volume of work from the ongoing series chronicles McCarty's collaborations over the course of two years with children affected by the Israeli-Palestinian Conflict. 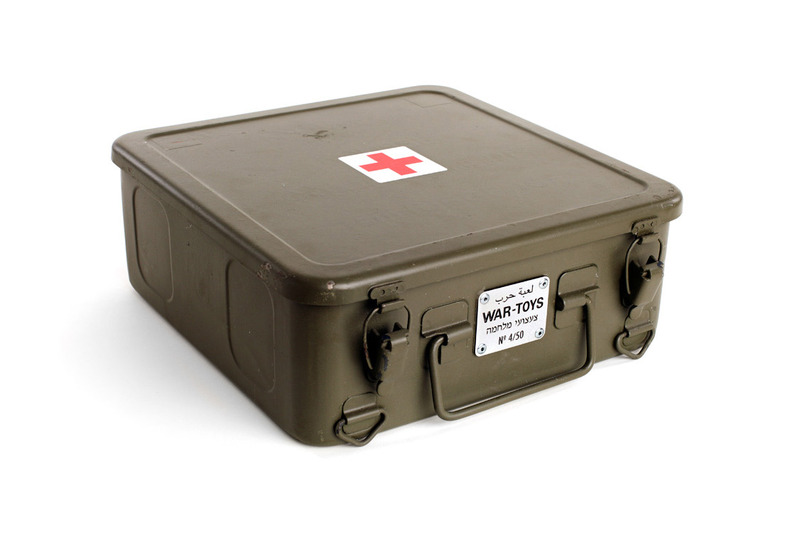 Working with humanitarian organizations including the United Nations Relief and Works Agency and the Israel Trauma Coalition, McCarty gathered children’s firsthand accounts in classrooms, community centers, clinical settings, and even bomb shelters. Drawings that the boys and girls created are shown alongside the photographs they inspired, sometimes taken while fighting raged close-by. The resulting series provides powerful context for the children’s accounts while documenting the playthings available in each area. These cheap, plastic arsenals mirror what the children see everyday – in the news and on the streets. The 80-page, fabric bound book signed by the author includes over 75 photographs and illustrations; an introduction in English, Arabic, and Hebrew; essays by renowned expressive therapy experts Dr. Judith Rubin and Dr. Julia Byers; and a narrative account of the production of the series. • Individually numbered / signed title page. 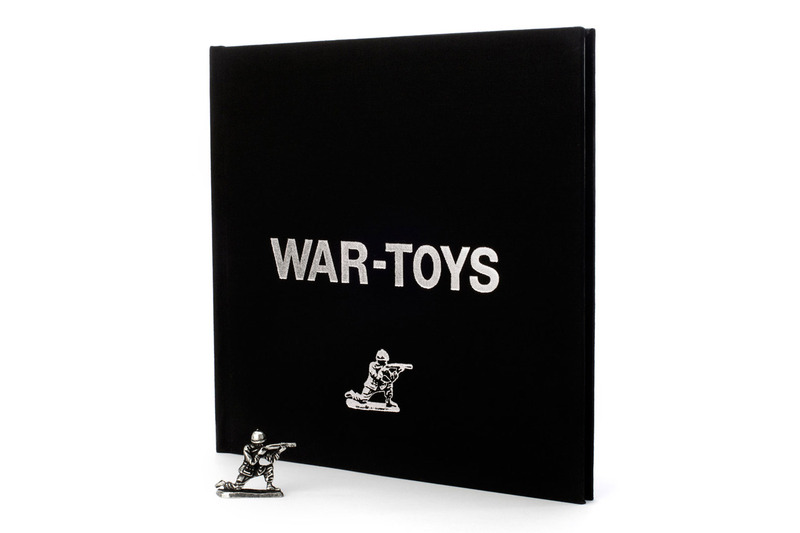 • Toy artifact (34mm tall, cast in pewter) - molded from the actual toy solider featured on the cover and used in Wall Shooting. • Signed / numbered 5x7 print of Wall Shooting. Fifty unique folios were created to help fundraise for the continued production of the WAR-TOYS Project. Each folio contains six signed and numbered 8x10 prints: three drawings shared by children affected by fighting in the West Bank and the three corresponding toy photographs created on the very first WAR-TOYS trip. Conceived and built by fellow artist and Grammy-award-winning package designer Hugh Brown, the folios are specially repurposed from surplus, French military medical kits. Their heavy steel cases have been filled with pieces from 7200 plastic army men, suspended in resin to form shelves for the archival prints. Each folio case is numbered with an engraved metal plate and is unique, inside and out. A Certificate of Authenticity is included. If you are a dedicated Collector/Fan of Designer Toys, a Designer Toy Artist, a Custom Toy Artist or even a Designer Sticker Artist, you can apply to join our Guest Blogger Team and earn your Ad Spaces across this blog and our 10+ websites by posting at least once a week. We are looking for anyone interested in blogging about what they love, what they make, or even what their friends or favorite artists are up to. YES! We are looking Artists who want to blog about their own work! 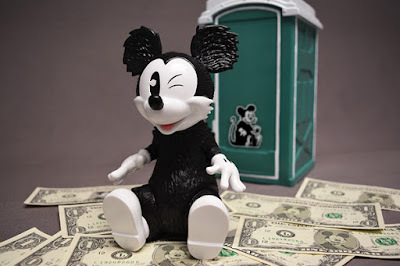 We are willing to experiment with the idea of developing the first true Blogging Community for the Designer Toy Scene. This is a great opportunity to get blog posts out into the internet without going through all the hassle of making a blog of your own and doing all the social media posts that go with it. 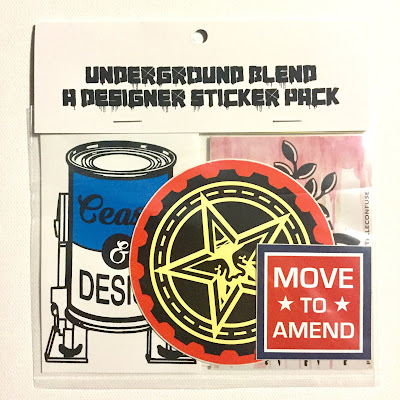 Email us at undergroundblendblog@gmail.com and let us know what you want to bring to the Team. DIY Boxcat by Rato Kim has been decked out by our own Gavriel Discordia in a USPS Postal Label style with a vinyl wrap. One of a kind. Signed by the Artist. 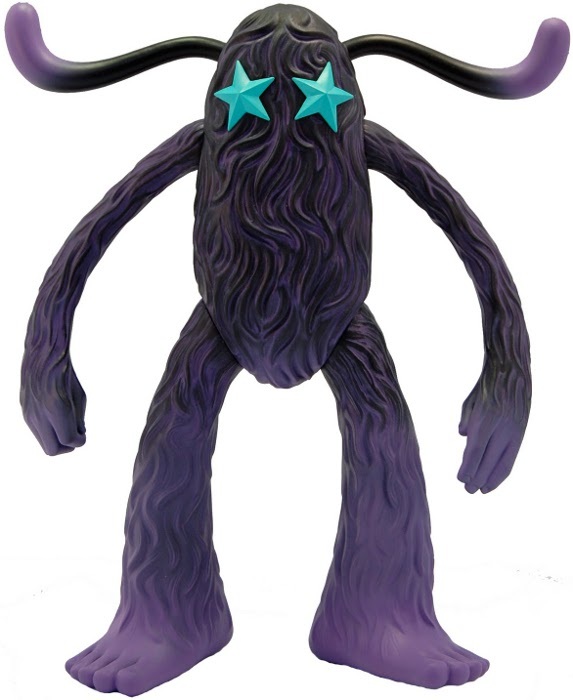 A Custom Art Toy by our own Gavriel Discordia. The DIY Boxcat by Rato Kim gets the Gama-Go treatment with hand cut vinyl stickers. Pupshaw, and Pushpaw are here again to join you at your home! 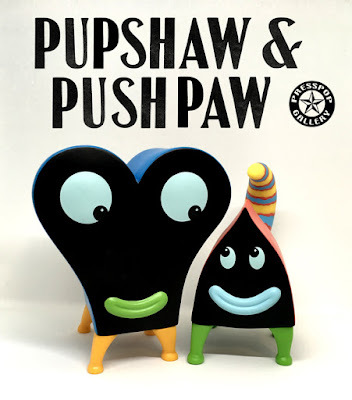 Pupshaw and Pushpaw are the characters from Jim Woodring’s classic fantasy comic “Frank” loved by fans all over the world today. 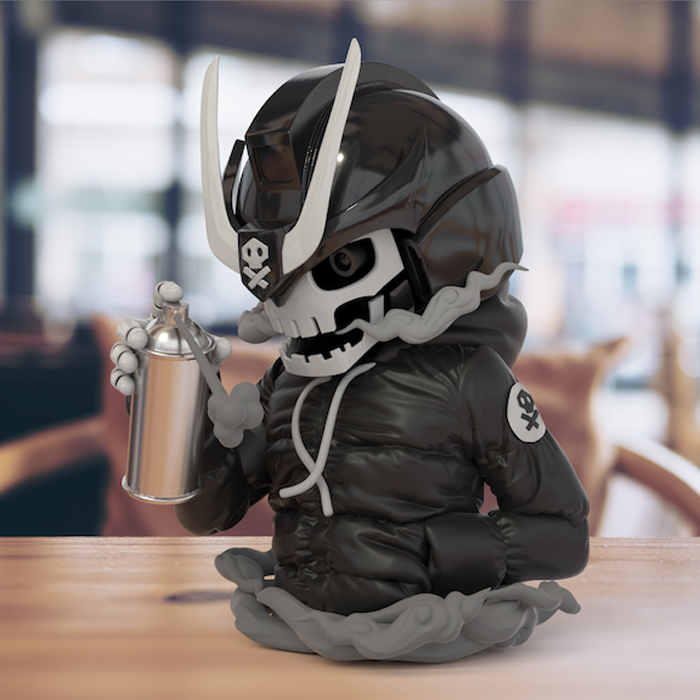 Now, appearing as a soft-vinyl figure for the second time from Presspop, but in a much larger size (Pupshaw 14cm and Pushpaw 16cm tall), this product is released as a set. Beautifully sculpted in Japan, the figures can stand individually, or smugly next to each other. Comes in special original art box designed by Jim. COLOR OR BLACK AND WHITE Available. Or get Both Pairs at $40 OFF! Ravager - the corrupted incarnation of TEQ63 from another timeline. Summoned by the Robotic Hive through a dimensional breach, Ravager's quest is to find and kill TEQ63 and his team of rebel soldiers in secret, taking over his identity and luring the humans into their future demise as their false savior. Black OG is Limited to Maximum 500 Worldwide 1 run edition only! 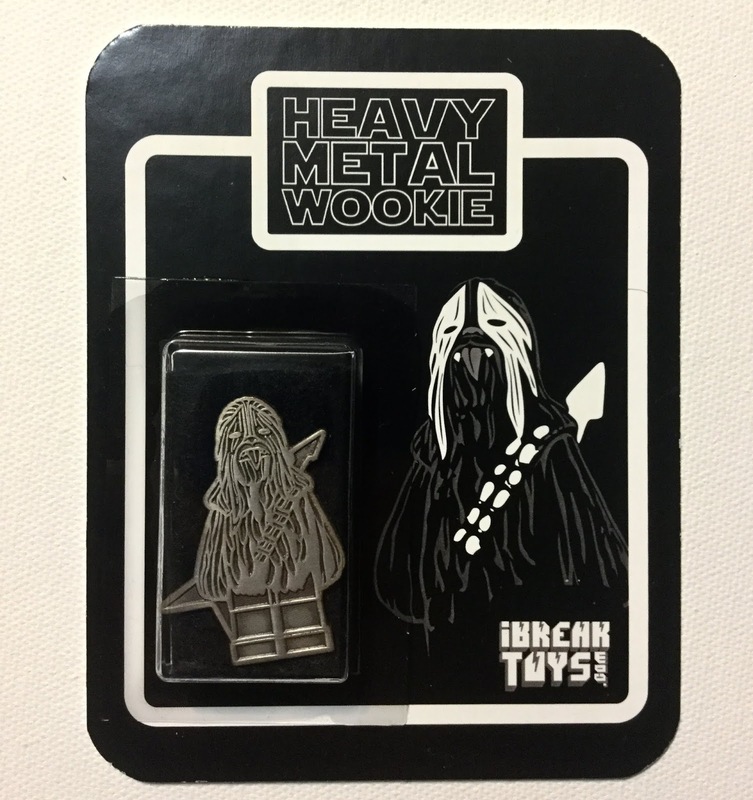 HEAVY METAL WOOKIE in Enamel Pin form and carded like an action figure on archive quality backs with custom made miniaturized blisters. Pictured is the super rare Raw Iron Version with random card backs. Only 13 Exist! 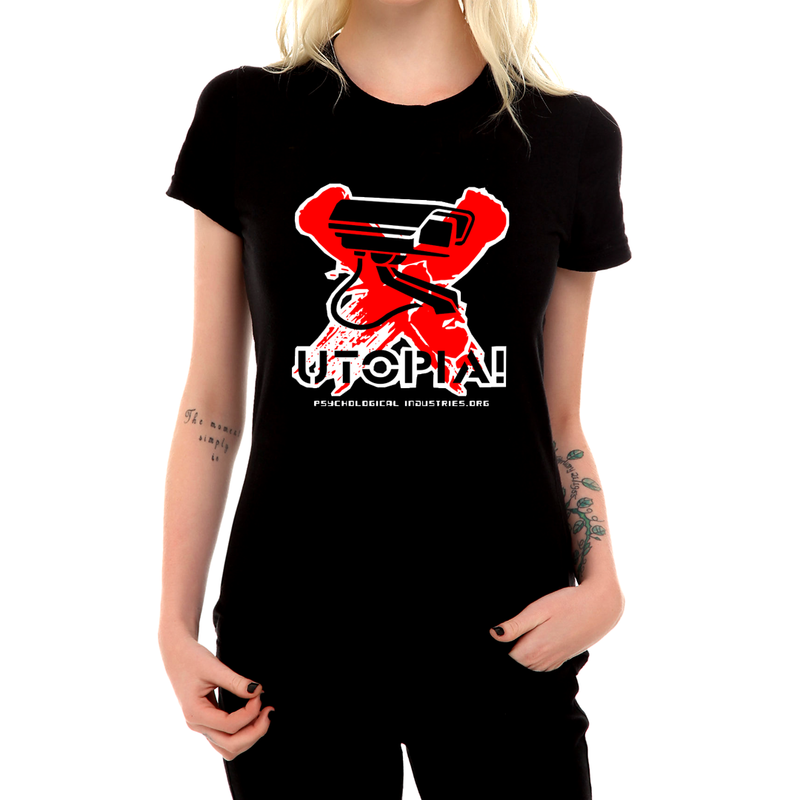 Developed and Assembled by sentient machines at the Discordia Merchandising industrial complex, these Limited Edition Art Objects can be yours, if you understand that time may be an illusion, but it pays very well. It has been Angel's dream to bring to life Charlie as a production vinyl toy since the character's inception. We have worked with sculptor Oasim Karmieh to develop this 3D printed 4" prototype of what our production vinyl figure will look like. The 3D renders below show you the OG Pink and Kickstarter Exclusive Green prototypes for the figure. Angel has also painted a 3D printed prototype to give you a good idea what a hand painted custom would look like. 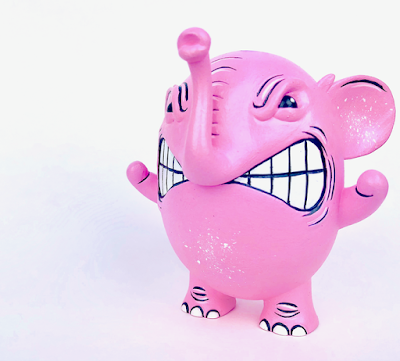 Charlie the Angry Elephant stands 4 inches tall and will be produced in vinyl. 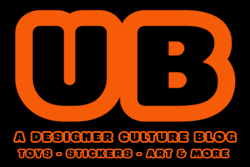 PEEL and StickerYou are collaborating on a new sticker art show to be held in Toronto in 2019. 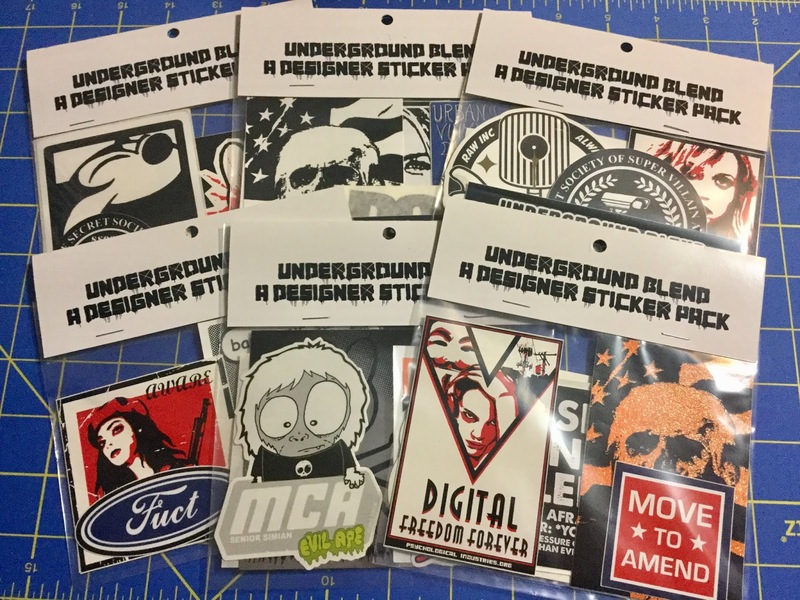 The show will present a timeline of the history of the sticker as well as sticker art by numerous artists. There are many more details yet to be announced. Sign up at the link below for emailed details about the show. Hand cast and painted 3.75" scale carded figure. Signed and numbered edition of 30. Manufactured by 2BITHACK for FACTORY SAMPLE. FACTORY SAMPLE is a enigma wrapped in creativity and shrouded in appropriation. 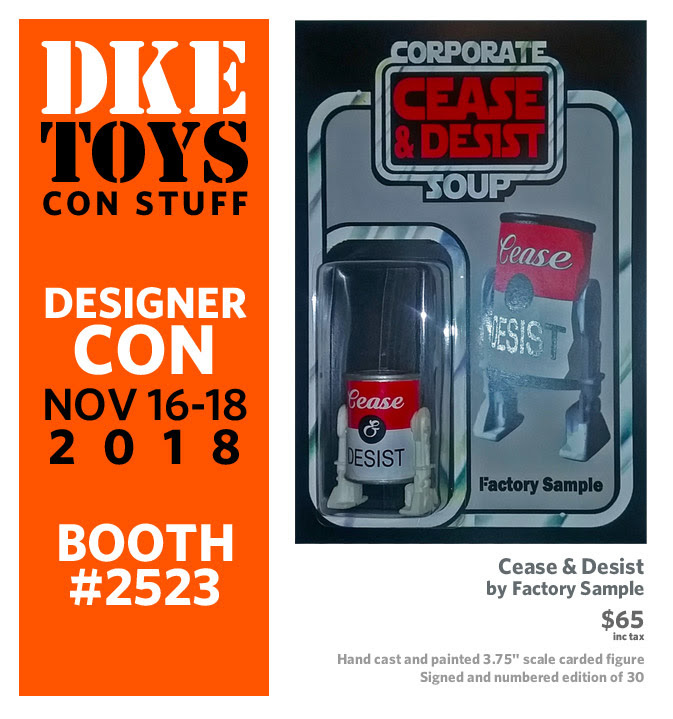 Available on at Designer Con 2018 at the Anaheim Convention Center - DKETOYS booth 2523 November 16th-18th.